Most people never really stop to consider just how much money they will earn over their working lifetime. When they do they are generally very surprised and somewhat astonished at the number. For the average American that number is somewhere between $2 and $3 million dollars! Unfortunately, for most people it is not how much they earned that is important, but how much they actually got to keep. 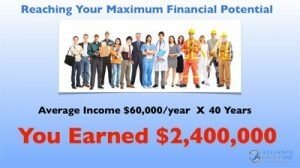 If you made an average of $60,000 a year during a 40 year working lifetime, you would earn $2,400,000! That’s quite a large sum of money, but first let’s consider the taxes of all kinds you would pay over that 40 year period. There are currently over 100 different taxes you might be subject to at any given time! 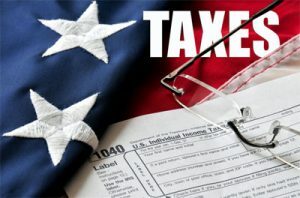 Everything from Federal and State income taxes to Social Security taxes, public utility taxes, gasoline taxes, property taxes, sales taxes and the list goes on and on! The impact of all those taxes is staggering. While it may seem unbelievable, if you add them all up for many people they exceed 35% of their income! 35% of $60,000 is $21,000 per year going to taxes. Over 40 years that equals an astonishing $840,000! 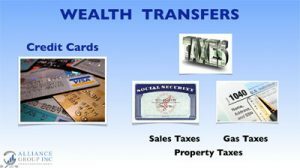 Another major wealth transfer is consumer debt. A recent study suggested the average debt burden in this country is a little over 34% of annual incomes. This number includes mortgages, car loans, student loans and credit card balances. And a significant part of every payment made on these loans goes to the interest on that debt not the principal! 34% of $60,000 is $20,400 per year going to debt service. That reduces what we get to keep by another $816,000! The typical American family is saving less than 4% of their income each year. That means 27% of our paychecks go to our lifestyle. This is the money we use to buy groceries, pay our utility bills, put gas in our cars, buy health insurance, pay for day care, sports and other activities, in short everything else we spend our money on to live and enjoy life. 27% of $60,000 is $16,200 per year or $648,000. So after taxes, debt service and lifestyle expenses we are left with $2,400 a year or just $200 a month to save for retirement! Sure doesn’t seem like very much considering you were making $5000 month! However, if you could earn an 8% return on that $200 a month for 40 years you would accumulate a little over $670,000. And most people would feel quite comfortable with $670,000 in their retirement account. Unfortunately, there is one more eroding factor or wealth transfer we have not yet considered and that is inflation! If during your 40 year working lifetime we average just 4% inflation, your $670,000 would only have the purchasing power of $140,000 in today’s dollars! There are two more things to consider. First, What if you don’t earn 8% per year on your money, what if it is lower than that? What if it’s a lot lower? Your account wouldn’t be nearly as big. Second, what if taxes are higher over your working lifetime as well as during your retirement years? Once again you wouldn’t have nearly as much money saved and you would have less to live on during your retirement. The key to building wealth and creating a high degree of financial certainty in your life is to identify as many of the taxes in your life as you can and implement strategies that will reduce them to the lowest level possible. You must eliminate all the debt in your life and you have to counteract the effects of inflation on your future retirement dollars. At the AllianceGroup we specialize in educating people about unique financial strategies that not only reduce their taxes but teaches them how to transform their debt into wealth! We also teach people financial strategies that do something we call “leveraging the value of certainty” which can significantly reduce the impact of inflation. 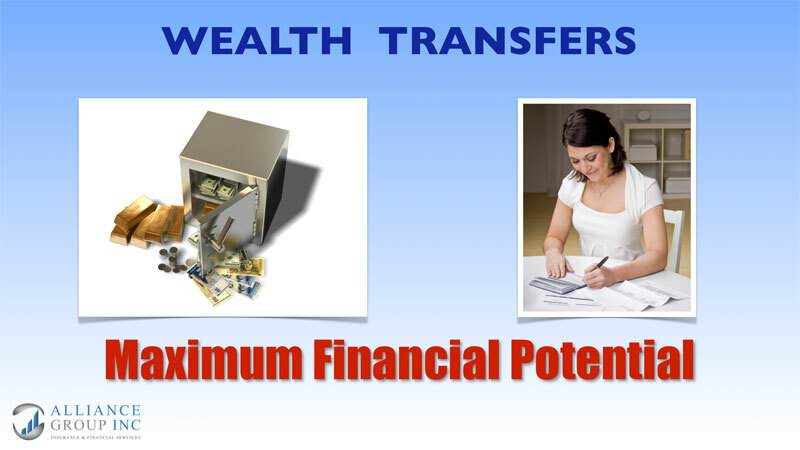 If you would like to learn more about how you can use these unique financial strategies to reach your Maximum Financial Potential and enjoy a financially certain retirement, then click below to request your free Wealth Transfer Analysis.